Jayant Baranwal (Baranwal): Could you give a quick perspective on the growth pace of our civil aviation industry? Civil Aviation Minister (Minister): The growth is reported to be around 20 per cent over the previous year; actually it’s a good growth. I think it is a reflection of the economy and it also gains from the economy. Civil aviation has benefited in the past one year. Of course, there are many factors and one factor that, I think, which is fairly important is the price of ATF (aviation turbine fuel) coming down, and that has been a stimulus. Baranwal: But in that case if ATF goes up, then what do you think? Minister: I don’t think it will go up now. It does not look as if it will go up. Baranwal: But there could be a possibility that it will eventually go up? Minister: You see, once you are born, death is eventual, but every day you don’t really think about it. The trends don’t show as if it will go up that way in the foreseeable future. You could say probably in this year, for instance, definitely, the trends don’t look in that direction. I am no expert there, so generally, I think there will be growth in passenger traffic. AS FAR AS THE 5/20 RULE, I THINK THIS IS AN IMPEDIMENT TO THE GROWTH OF INDIAN AVIATION. NO OTHER COUNTRY IN THE WORLD EVER HAS THIS TYPE OF REGULATION. Cargo is literally miniscule in our country and so it has scope not only for exports but also within the country. We have so many agro climatic zones and good markets, so probably if we can get the industry and the trade entrusted, I think transport can help there, that’s good if it happens, because I see an opportunity there. Baranwal: But you want cargo industry to grow well? Minister: Yes, cargo industry needs a push, needs incentives and infrastructure. The world over, most airlines don’t make money from transportation of people, whatever they make it is from cargo. Baranwal: So that offsets the losses they are bearing? Minister: We hope they don’t go under losses. The world over that is happening in a lot of places and we can see that it can happen here. Baranwal: The DGCA (Directorate General of Civil Aviation) is yet to emerge as a progressive organisation as per the sentiments of the overall industry. 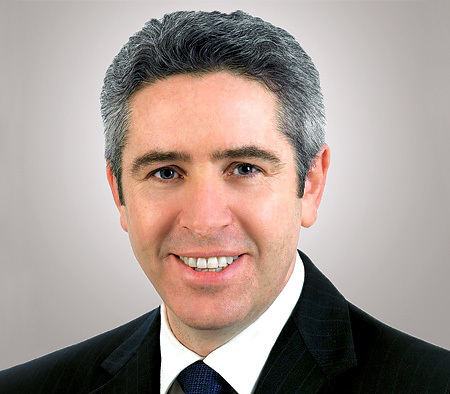 What steps are being taken to make it more conducive to industry’s healthy growth? Minister: You see, the DGCA is a regulator and most regulators don’t endear themselves to people, but they can be transparent in their actions. Generally regulators don’t endear themselves to trade because it will become a compromise in safety. They are opaque and they need to become transparent and they need to be faster and conducive to growth. A regulator is necessary. You can’t throw a baby out of the bath water once the bath water goes, the clean baby remains so, and that is how we would like to see the DGCA as a cleaner organisation. Those are the kinds of steps we are taking there to try to see the organisation modernises its thinking and pulls itself up. Baranwal: Air India has now withdrawn its objection on the 5/20 rule. Does this pave way for faster growth of India’s airline business? Minister: It’s okay some airlines object, some don’t. Ultimately, it’s the government to take a decision. Now why 5/20 was brought? What is the logic behind five years in 20 aircraft and who does it pull down? You can’t regulate foreigners, you only regulate yourself, for what purpose? It is a decision that did come out of the Cabinet, so any change it has to go back to them. Now politically speaking, almost no political party’s manifesto, regional or national, has ever talked about aviation. There is a sentence in the BJP’s manifesto on regional connectivity, so we are trying to keep the regional connectivity thing as sacrosanct, building the policy around it. Of course, as far as the 5/20 rule is concerned certain people after sometime will get used to a particular thing, it gives a comfort level or call it a discomfort level. I think this is an impediment to the growth of Indian aviation. No other country in the world ever has this type of regulation. I am individually convinced and I hope to convince my colleagues further. REGIONAL CONNECTIVITY IS WHAT YOU ARE THINKING. THE AIRPORTS AUTHORITY HAS ABOUT 30 TO 31 AIRPORTS UN-SERVED, EVEN TODAY, WHICH ARE NON PERFORMING ASSETS; WE WANT THEM TO BECOME PERFORMING ASSETS BECAUSE THEY WILL CONTRIBUTE TO THE ECONOMY. Baranwal: And this will enable much faster growth on the domestic front. Minister: I think so, because impediments are removed. Now what is this that they are calling level playing field. I went through hell so another fellow has to also go through hell, otherwise it’s not a level playing field because I went through hell and he is not going through hell. I don’t think that should be acceptable logic here, we need to see that this industry grows. Someone will benefit, someone won’t benefit that’s ok, but for eternity I don’t think we can doom the things. That’s what I feel and everybody knows that I am not for the 5/20 individually; I have voiced this at various forums too. So if I am able to convince my colleagues then it can go. Baranwal: MRO: I believe the draft policy sounded very friendly to the industry – what all have been the plans to enable the growth in this area? Minister: MRO is one place where India has a lot to benefit. If we are able to bring in the policy, we will get the industry into India. Right now $700 million of Indian business is going to Singapore, Dubai, Sri Lanka and when you interact with them they are giving few things, one is the service tax and customs for the Government of India. We interacted with the finance and customs; they wanted time for spare parts to be changed to three years instead of one year right now. Currently, they get it, and if they consume it within one year and they don’t have to pay the duty. They are asking for three years time and in informal consultations, they seem to understand the problem. Also, the states will have to come out with their VAT problem, so if the Government of India does that, then probably this industry might move to states which are friendly. In Delhi, everyone is trying to bring down the ATF, the Delhi Government has hiked it to five per cent. So like that you do have things happening. MRO will help us to get back business to our country, with it our ‘Make in India’ will become more vibrant, we are working on that. Baranwal: It will save lot of money outflow from the country. Regarding general aviation and business aviation, the industry still feels that they are being treated as a stepchild? Minister: General aviation is interesting; we got some of their reactions. Why is it that, what is it they want, what is it we can do? Like if they say I want parking in a place like Mumbai, it is already congested. Like they say I don’t mind parking in a place like Bhopal, for instance, you have 12 aircraft you can park simultaneously, no problem 12 big ones. What is this they exactly want? Neetu Dhulia (Dhulia): If they come up with requisite solutions, would you be open to it? Minister: My god! I will welcome everybody. Why should I say no for it? Dhulia: Would you welcome if the industry jointly wants to come and voice their thoughts? Minister: You see voicing is okay, I even put the draft policy on the Internet and requested, please respond whether we agree or disagree. We can always agree on something and disagree on another thing, but we have to understand your problem. Dhulia: If they raise the problem and seek the support, would the government look into it addressing the issues? Minister: Why not if they can raise anything and I am sure we will look into it. Dhulia: Could we be instrumental and bringing them together to have a discussion with them? Minister: If you are willing to send the ideas across we can try to understand them and then if we find it necessary we can always interact, after all we are Indians, we are not different countries warring with one another. So general aviation feels like a stepchild, why is that I need to know? Baranwal: The level of taxation they say on the aircraft is very high unlike any country in the world. Minister: Yes, that must be there, because generally scheduled airlines are given benefit because they are understood to be the common man’s way of transport. General aviation has probably given this impression that it is only rich man’s transport and that impression stays. So anyway whatever it is, they might be having other applications also, and we need to look at that. Baranwal: Yes other applications, the business expansion, moving from one point to the other, like a business tool, contributing back to the economy. Minister: Ultimately, aviation benefits from the economy. It also gives back to the economy. In that sense, aviation in general terms is that. Because, the economy appears to have behaved, your growths are there, otherwise it would not have been. Minister: Regarding “Regional Connectivity”, I told you already that this one is in the manifesto, we are kind of looking at it like a sacrosanct thing. That is why it’s in the policy we are looking at the certain suggestion which excited the thinking of many people, won’t it be possible to pay for an hour of flying at Rs. 2,500. Baranwal: There has been some debate on that Rs. 2,500 cap. Minister: It’s not a cap, it’s not a floor, it’s a suggestion. Caps and floors are dangerous. Regional connectivity is what you are thinking. 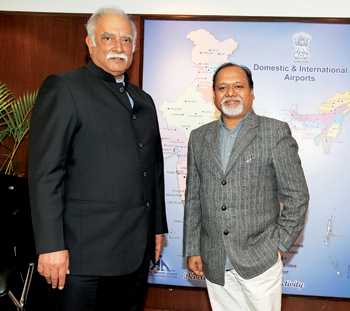 The Airports Authority of India (AAI) itself has about 30 airports un-served, even today. Now how do you start a service there? Otherwise, it’s a non-performing asset; we want them to become performing assets because they will contribute to the economy. How to do that, that’s the thing anyway, the work is going there. Baranwal: When can we expect the new Policy? Minister: The new policy has now come to an advanced stage. One or two things that we are trying to iron out, then, it will go to the inter-ministerial consultation and then the Cabinet because certain decisions have come out from the Cabinet in the past. We would like to push it soon.